Product prices and availability are accurate as of 2019-04-13 01:09:24 UTC and are subject to change. Any price and availability information displayed on http://www.amazon.com/ at the time of purchase will apply to the purchase of this product. 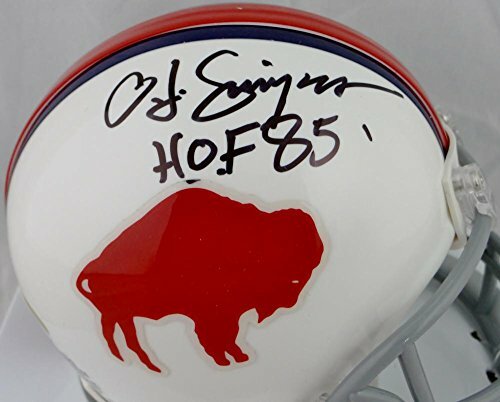 This is a Hand Autograph of O. J. Simpson of the Buffalo Bills on a Riddell Football Mini Helmet. This item has a James Spence Witness Authentication, which comes with a JSA #'ed sticker and a matching JSA COA. You can view this item on the SpenceLOA website, it shows when and where the item was signed. It was signed either at a public autograph appearance or a private signing. We appreciate your interest in our items and we hope that we can make all transactions professional and satisfying. We Strive For Great Customer Service With Fast Shipping. 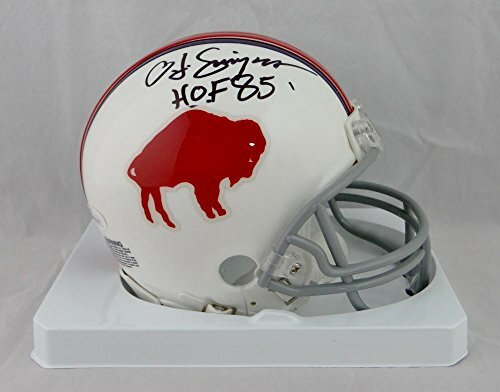 We Participate In Over 500 Autographs Signings Per Year. We Are A Small Business That Started With One Person 19 Years Ago. Your Satisfaction And Repeat Business Is Our Goal.